Please note this event is now taking place in the Clore Learning Centre: Cottosloe Room. In his new book, The Art of the Artistic Director, Christopher Haydon has compiled a fascinating set of interviews that get to the heart of what it is to occupy this unique role. 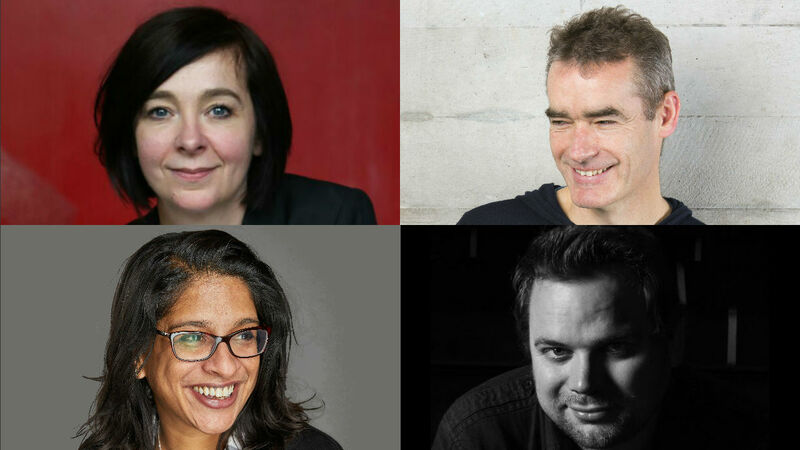 To mark the publication of the book, Haydon will be speaking to three of the most high-profile artistic directors working in London theatres; Vicky Featherstone (Royal Court), Rufus Norris (National Theatre), and Indhu Rubasingham (Kiln Theatre) about the essential skills and abilities that go into making an accomplished artistic director. How do you decide what stories an audience should hear? How do you make your theatre stand out in a crowded and intensely competitive marketplace? How do you make your building a home for artistic risk and innovation, while ensuring the books are balanced? It is the artistic director's job to answer all these questions, and many more. Yet, despite the central role that these people play in the modern theatre industry, very little has been written about what they do or how they do it. Christopher Haydon was artistic director of the Gate Theatre, London, from 2012-17. Prior to that, he was an associate director at the Bush Theatre, London. He studied at Cambridge University and trained at the Central School of Speech and Drama, the National Theatre Studio and with Cicely Berry at the RSC. In 2007 he received both the inaugural Chichester Festival Theatre Heller Fellowship and the Channel Four Theatre Director's Bursary at the Salisbury Playhouse.